Since I was a little child, the meaning of friendship has always been on my mind. Like many people, I was vulnerable and found that by being honest, trusting, and open to strangers I also invited people to take advantage of me. But, regardless of the negativity I experienced when I was taken advantage of, I still sought for friends I could trust. For this reason, literature which speaks to the experience of friendship has always been of great interest to me. On this note, what I love about the Yiddish and Jewish-American tradition of the schlemiel and the work of Robert Walser – which has so much in common with this comic tradition – is the fact that the Yiddish schlemiel and Walser’s simpleton are both trusting. Both are in search of friendship. And, from both, we can learn a lot about the relationship of vulnerability and trust to friendship. For instance, one of the things that has always fascinated me about the I.B. Singer’s Gimpel (who Ruth Wisse takes for a quintessential post-Holocaust schlemiel) is the fact that, though he is constantly lied to, he never stops trusting people. In truth, Gimpel’s comedy can be found in his desire to make everyone his friend. Gimpel, according to Wisse, acts “as if” good exists. That good, I aver, is the trust that comes with true friendship. It depends on the trust of the other and not just on the desire of the schlemiel-subject. Since I.B. Singer doesn’t present Gimpel as awkward or vulnerable in any way, the reader is left to imagine what kind of process he goes through each time he meets another person. By not doing this, one can only assume that Gimpel is either very good at ignoring the ways of people who lie, trick, and betray him or that he is painfully aware of this but goes on “as if” nothing has happened. Robert Walser’s Fritz Kocher, the subject of his first novel, Fritz Kocher’s Essays provides us with an account of someone who goes through both of these above-mentioned options with regard to friendship. 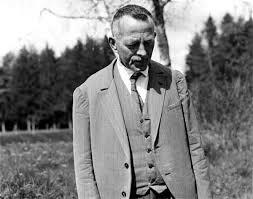 As I pointed out in my last blog entry on Walser’s book, the best way to read Walser is “between the chapter headings.” To this end, I presented a reading of the first three “essays” in the novel: “Man,” “Autumn,” and “The Fire.” I’d like to build on these readings by initially linking “The Fire” essay to the essay entitled “Friendship.” This will serve as the basis for my reading of the “Friendship” essay, which touches on vulnerability, trust, betrayal, and friendship. The child is fascinated by this kind of heroism because it evinces a kind of humility that he emulates. It also has a melancholic sense to it since the hero disappears. The last lines suggest that Kocher saw someone he could trust: he wanted to meet him and befriend him. O, there are false friends, whose only goal in life is to wound, to hurt, to destroy! These words disclose the fact that Kocher is vulnerable and has – apparently -been hurt by people he took as friends but were, in fact, “false friends.” Following this, Kocher briefly raves about how these people (10). But after he raves, he confesses that he doesn’t “actually know any friends like that, but I have read about them in books, and what it says about them must be true since it is written in such a clear and heartfelt way”(10). What he see happening in these lines is the fantasy of reciprocity: that because I think of him, he must, in the same way, be thinking of me. This fantasy, this certainty, brings him calm and happiness. 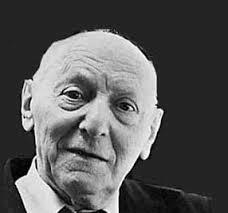 However, the truth of the matter is that, as Emmanuel Levinas points out, relationships are not reciprocal or symmetrical; rather, they are assymetrical. We cannot be “certain” of the friend. Oh, such clear communication, such a firm bond, such mutual understanding! I cannot begin to understand it, but I let it happen all the more calmly since it is good and I like it. This passage shows us that he is extremely vulnerable and knows betrayal, but he doesn’t want to believe in it. At the very least, he acknowledges that these types of people leave us with “disappointment” and this is “troubling.” But in an act of defiance, he focuses solely on a friend one can both “love and admire.” And he suggests that this can only work, however, if the friend admires and respects him, too. He than repeats, a few times, how he doesn’t want to be despised. This, it seems, is what his desire of friendship must counteract (as if it is a reality hanging over his head). And this puts a lot of weight on friendship because, without it, he feels he may be hated. In other words, we see something different here from what we see in I.B. Singer’s Gimpel. In Singer’s story, we don’t hear comments like this coming from Gimpel. It is left for the reader to wonder what he really feels about being laughed at. Here, in contrast, Kocher alludes to his emotions and suggests that this world – the world that laughs at him in his innocence, his trust, and his good humor – is not worthy of being trusted. That would suggest the most negative reality. However, as we can see, he, like Gimpel, still continues to trust the world even though, as he alludes to us, he has a hard time trusting those who mock him. This trust, I would suggest, is built into our asymmetrical relation to the other. Yet, as Levinas would be first to admit, it comes with an acute awareness of persecution, uncertainty, and suffering. The comic relation to the other, to my mind, provides us with an exceptional figure for this double consciousness (which we see at work in Franz Kocher’s essays). We all act “as if” good exists yet knowing that when we leave ourselves open to friendship we may receive, in return, betrayal, persecution, and mockery. That’s the risk that Kocher knows he must take but, ultimately, he wishes he could have a “true friend” who would always be there to reciprocate in kind.